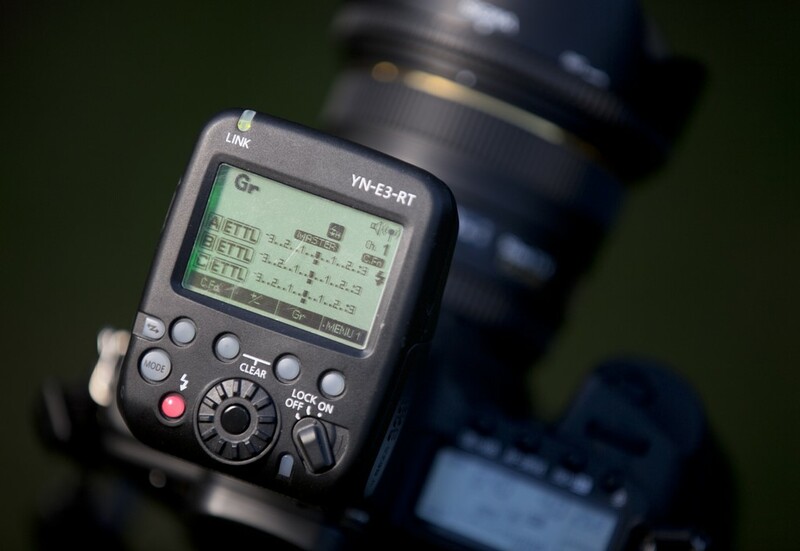 Allan MacDonald tests out a third-party alternative to Canon's ST-E3-RT flash controller. Is it any good? Only a few years ago, Yongnuo’s camera accessories may have failed to meet the demands of some photographers who were more accustomed to using reliable, fully functional (yet expensive) equipment, that bore the same company name as their own camera. It’s great to see, however, that Yongnuo is now gaining appeal from a wide range of photographers who previously may not have even dreamt of adding third-party equipment to their kit list. With the introduction of a number of groundbreaking products from the Canon line in the past year or two, we can appreciate how difficult it is for a third-party manufacturer to break into and maintain their own niche the market. Yongnuo, however, have always had the advantage of affordability and the company’s newest addition, the YN-E3-RT, is no different in that respect. The similarity between the Yongnuo YN-E3-RT and Canon ST-E3-RT cannot be ignored, and today it’s not unusual see third-party camera accessories that bear a distinct resemblance to genuine products. That’s not to say, however, that the third-party products on offer match the reputation of the original genuine products. An impressive array of features, but how does it fare in the field? The first things to observe are the products dimensions. 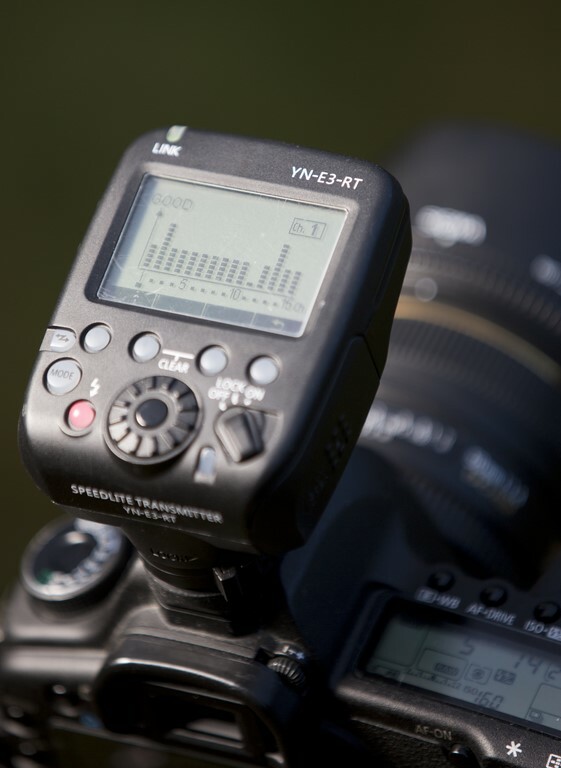 Despite a large LCD screen, the YN-E3-RT isn’t that much larger than units such as the Commlite CT-TL680C, or the PocketWizard MiniTT1, and at 190 grams (6.7 oz) including batteries, doesn’t add a huge amount of weight to your camera body. Of course, due to its radio transmission features, you’ll normally only have to worry about carrying one of these triggers, as the receiver is built into the Canon 600EX-RT. Fewer batteries, less hassle. Although Yongnuo claim their product has weather sealing, I can’t help but think they’ve given us the bare minimum in that respect. I wouldn’t want to be shooting in the rain for too long, considering the lack of sufficient rubber sealing surrounding the battery chamber. 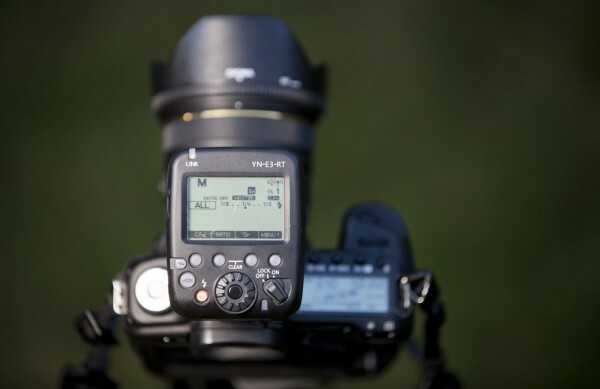 The buttons feel slightly cheaper than that of Canon’s 600EX-RT, but you get what you pay for. 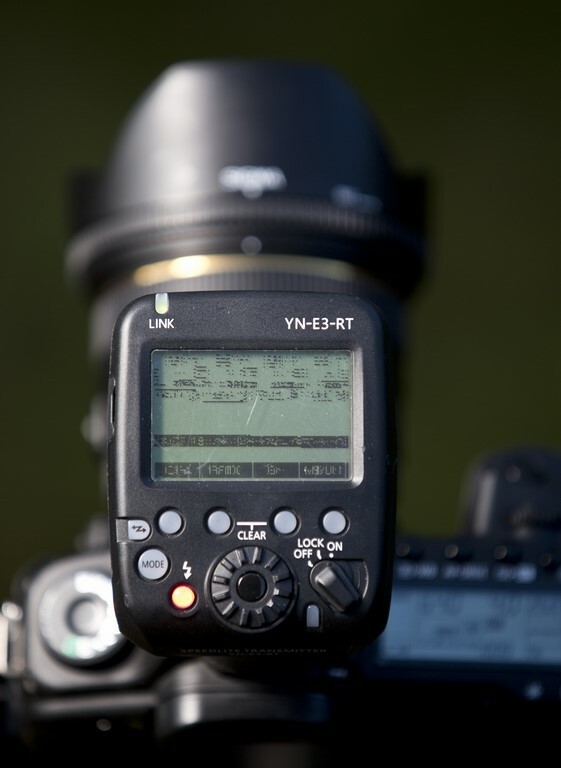 The Yongnuo allows for 15 channels at 2.4GHz, and includes a ‘scan’ option, for displaying the cleanest and best channels to choose for radio transmission. The 2.4GHz frequency is used by anything from your mother’s microwave oven to your chic Bluetooth headset, so the feature can come in useful when your trigger is used in a situation likely to cause interference. A wealth of Custom Function and Personal Function settings are available as well as the beep, to indicate your flashgun is recycled, which is a welcome feature, often omitted from other flash triggers. One feature I am very glad to see on the Yongnuo is the addition of an AF assist light, which comes in handy during low-light shooting. Surprisingly, it’s not a feature that’s present on the Canon equivalent, so it’s great that Yongnuo have made the conscious effort to make it easier for photographers who often shoot in darkened scenes. 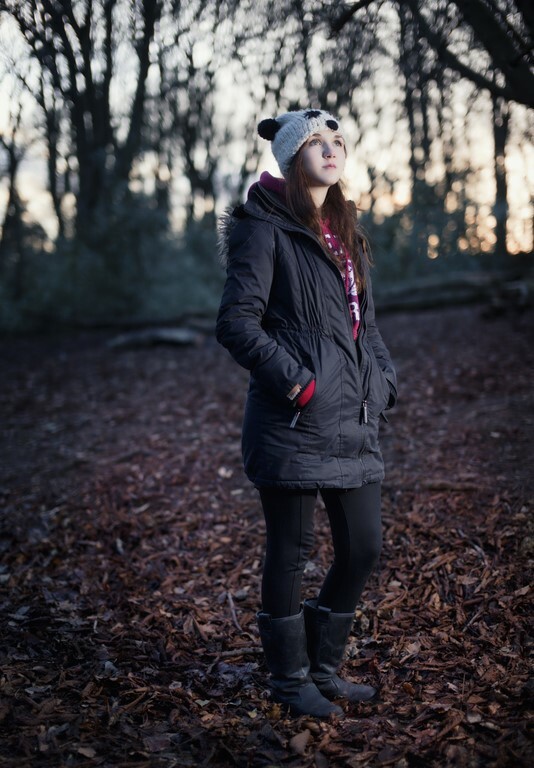 The red beam emitted covers a large proportion of the frame, making it well suited to users of, for example, the EOS 5D MK III’s 61-point autofocus system. For those who can like to stick their cameras in unreachable areas, there’s the Linked Shot feature. 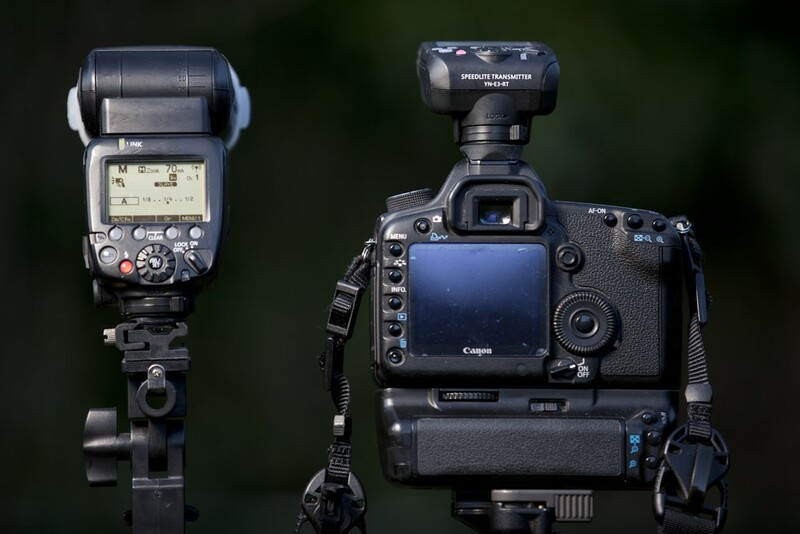 This neat addition lets you add up to 15 other Canon cameras to your setup, as slave units. Unfortunately, I don’t have 15 cameras on my kit list, but I did try it out with a smaller setup. I mounted the YN-E3-RT on my Canon EOS 5D MK II and the Canon 600 EX-RT on my 5D MK III. From here, I was able to set the MK II as a master unit and the MK III as a slave, using the menus available on the 600 EX-RT and the YN-E3-RT. On pressing the MK II’s shutter button, the MK III’s shutter also fires at the same time (and there’s the option of firing the mounted flashgun if you need it). Although it’s not a feature I’m likely to use personally, I can see this would be useful for sports photographers who set up multiple cameras behind goals, for example. It’s probably not the most cost-effective way of doing it, though. I was beginning to favour Yongnuo’s new product over all other flash triggers I’ve tried out, until it began to develop a fault, where any sudden jolts to the trigger or the camera body would cause the YN-E3-RT to switch itself off and back on again. It seems that this might be more of a physical fault than a firmware one, and although there’s a good chance it’s a fault unique to the test unit sent to me, this disappointing defect would make me think twice before using the product again in a situation where any technical instabilities are simply not an option. Not long after, I saw that there was even more to worry about, in terms of the Yongnuo’s reliability, as after around four or five minutes of standby time, the trigger’s LCD screen would begin to display what can only be described as blended Alphabetti Spaghetti. A quick ‘on and off’ was the best way to make sure this wouldn’t spell disaster (har, har). Similar to Canon’s product, unfortunately, flash zoom cannot be changed in camera or trigger menus, so you’ll have to manually zoom the flash head on the flashgun itself. Not a huge problem in the studio, but in a situation where a flashgun is operated from a distance, it’s a bit of a nuisance. Any improvements? Well, yes. 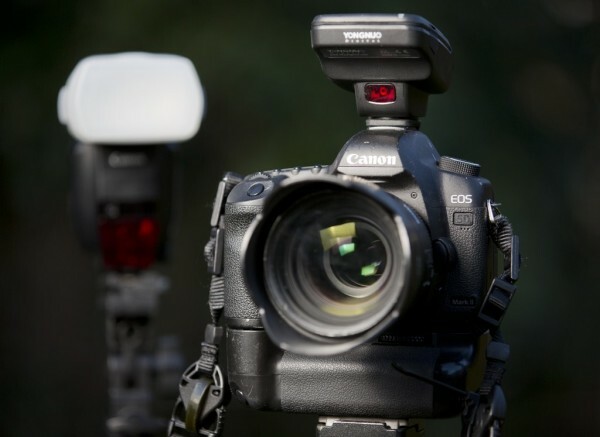 The addition of an AF assist light showed that Yongnuo saw there were improvements to be made over Canon’s original product. In the future, however, it would be good to see the addition of infrared transmission, to allow for the use of previous non-radio Canon flashguns at the same time as radio transmission. It does seem as if infrared transmission is on its way out, so perhaps a radio receiver unit to complement the YN-E3-RT would be more realistic. 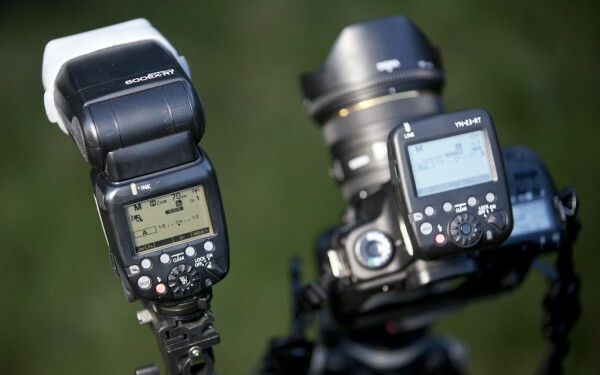 I doubt many would take the decision to purchase multiple Canon 600-EX RT flashguns, simply because their transmitter wasn’t suitable for their previous Canon Speedlites. All in all, this is a great little unit with a lot of useful features for the price. There are a few problems I hope by now, Yongnuo will have sorted out, and assuming these problems are simply because my unit is an early release item, I wouldn’t say my opinion of Yongnuo’s products has been blemished to any great extent, by the glitches I’ve encountered. 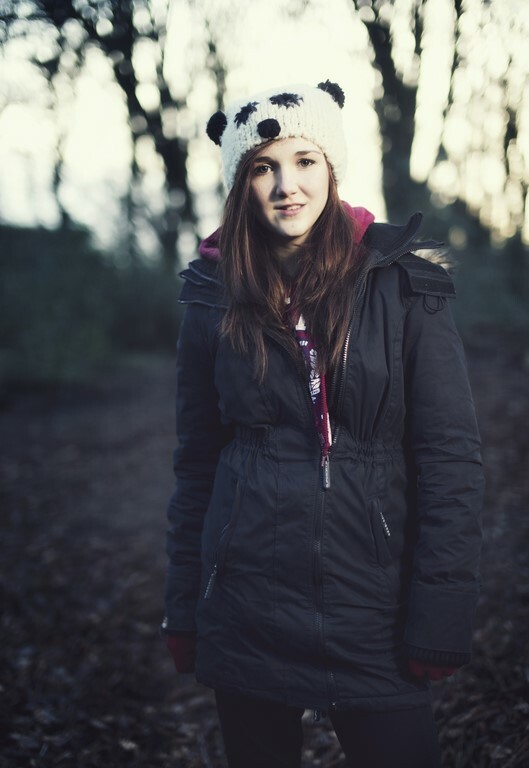 EOS 5D Mark III @ 50mm f/1.6 ISO 250 1/320s. Canon 600EX-RT @ 1/8 through softbox, fired with YN-E3-RT, camera right. EOS 5D Mark III @ 50mm f/1.6 ISO 250 1/500s. The Yongnuo YN-E3-RT costs about $145 and is available now on Amazon and eBay. For more information visit the manufacturer’s product page.